All your drinking requirements are catered for in Rye. 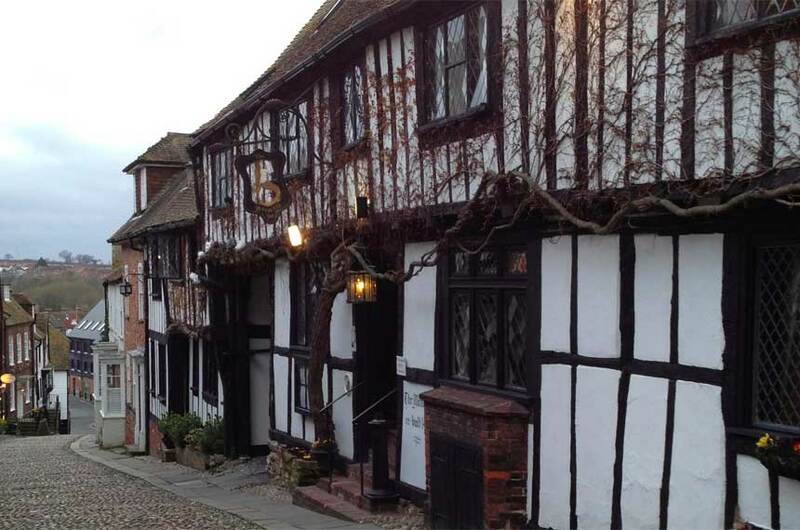 Ancient beamed bars and historic pubs (most of them freehouses) serve local beers, fine wines, and good food. We’ve drunk in all of them but these are the ones we go back to. One of Rye’s most ancient drinking establishments (it dates to the early 15th century) has reopened as a fashionably stripped-back pub, with a tiled floor, bare-wood window frames and scrubbed wooden tables, softened by distressed blue paintwork. Candles, an open fire and some wonkily beautiful beamwork add to the atmosphere; this is a place for loud, buzzy conversation, not hushed tones, just as a pub should be. The bar serves local beers (Old Dairy and Curious Brew) and the food includes a pate of the day and catch of the day as well as pub classics like fish and chips. Originally built as Rye’s pump house, this charming little building has had several guises since, including as a soup kitchen in the early 20th century, public toilets, and most recently an antiques emporium. Its current use suits it very well, as a micropub serving only local ales and ciders, including Three Legs, New Romney and Hop Fuzz. 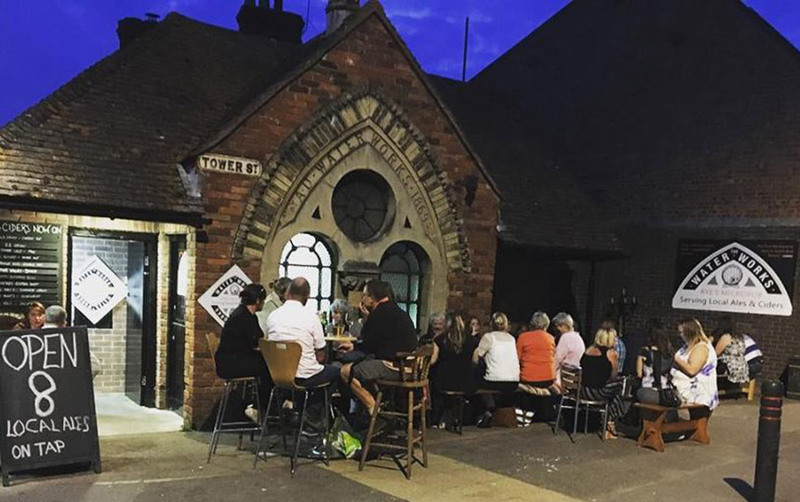 This intimate and very friendly spot is a go-to for a quick drink before an evening meal, a pint outside in the sunshine watching the world go by, or a bit more of a session. The antiques shop (sort of) lives on, in that many of the pieces of furniture and objects that adorn the interior are for sale. 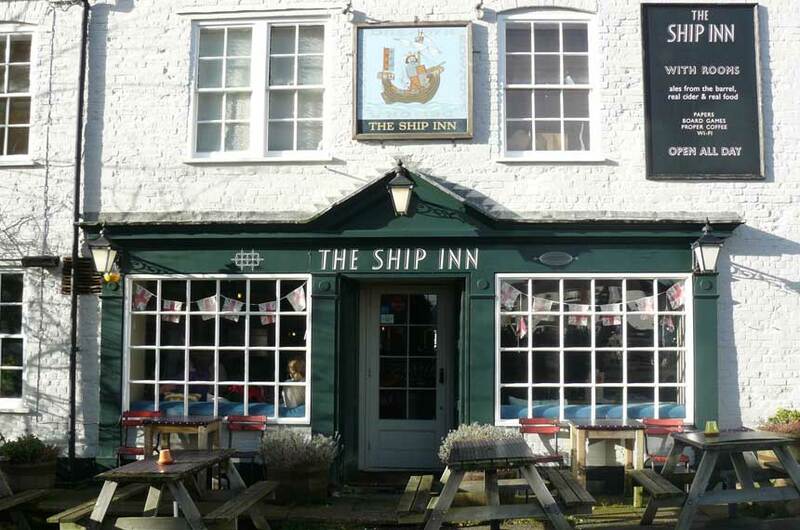 Originally a 16th-century warehouse that stored the contraband seized from smugglers, The Ship covers every possible base – great local ales (try something from the Old Dairy brewery), a hearty menu, cocktails, board games and newspapers. Inside is a nice mix of scruffy sofas, mismatched chairs and big, low-hanging pendant lights, pepped up with a sort of mid-century tally-ho vintage spin. The staff go out of their way to merrily accommodate the mix of locals and tourists. If you’re not up for cooking breakfast at Bee Cottage, come here for eggs benedict, waffles or a full English, a good way to set yourself up for the day. ‘The Wipers’ has such a pretty run-up – through cobbly Church Square, past the 14th-century Ypres Tower, before descending down the ancient Gun Garden steps. By the time you set eyes on its white clapboard exterior, you’ll be thirsty for a pint. 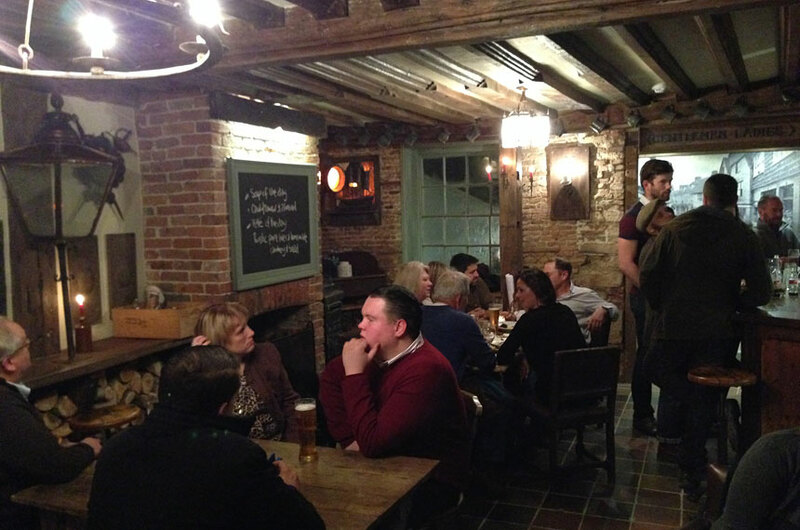 Inside there are usually three or four ales on, plus locally sourced food such as lamb hotpot and smoked haddock risotto. This is the only pub in the citadel with a proper beer garden, which overlooks the river and Romney Marsh. 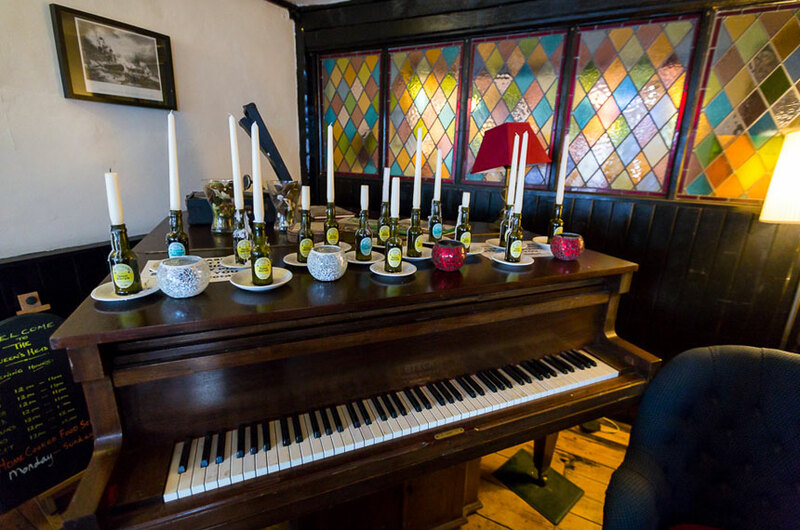 There’s live music here on Fridays and Sundays, and also in the garden on special occasions such as during August’s Rye Jazz Festival. An alehouse since medieval times, the Mermaid’s cellars date from the 12th century, although what you see now is a mere 700 years old or so, with thick beams, elegant panelling and crooked floors. Now a popular hotel – famously reputed to be haunted by the smugglers that used to hang out here in the 18th century – it also has an extraordinary lounge bar, dominated by an enormous inglenook ‘giant’s fireplace’, so big that it even accommodates a priest’s hole in the chimney breast. The uniformed bar staff serve local ale and cider and there’s a good wine list. It’s a particularly welcome spot on a cold night, or after a big walk. A big, bustling freehouse with zero pretentions, the Queen’s Head is a lively locals’ pub, with pool table, piano and more than a few good pints. Stand at the bar, get comfy in a big squashy chairs around the stove or be seated for a meal. The pub is becoming increasingly well known for its food, which is hearty and lovingly cooked from scratch on the premises. There’s often live music on Saturdays, and Sundays between 4 and 6pm is happy hour, when drinks are half price. You don’t get that very often these days.